Crossover Cable Vs. Straight-Through Ethernet Cable: What’s the Difference? Posted on January 16, 2019 by J.T. As of 2016, there were approximately 3.5 billion internet users worldwide, with 45% of the global population accessing the internet. But we don’t all access the internet in the exact same way. Some people rely on wireless connections, while others use Ethernet cables. Making matters even more complex, there are a few different Ethernet cable types to be aware of. Today’s post will discuss the differences between ethernet cables (otherwise known as straight through cables) and ethernet crossover cables — and why it’s important to know which is best for a given application. You might refer to a straight through cable as simply an Ethernet cable or as a patch cable. You’ve probably seen this type of cable used in your home or office. This cable, which contains a twisted pair of wires, is used to connect a computer to a network (often through a router). If you use an Ethernet cable, you’re using an alternative to a wireless connection; they’re meant to connect two different devices in order to get online. When you examine a straight through cable, each side of the connector portion should match in terms of the color and configuration of the pins. That’s because there’s only one wiring standard used throughout this type of cable. Crossover cable uses differ from those of regular Ethernet cables. While crossover cables do fall under the Ethernet cable category, these specialized cables are meant to directly connect two computing devices or two switches together. This connection is forged by crossing over (a.k.a. reversing) the pin contacts. Crossover cable connectors have two separate wiring standards, meaning that the colors and configurations of the pins do not match perfectly by design. That’s because this type of cable will use its internal wiring to reverse the signals. Most people would explore these crossover cable uses when testing one computer through another or in competitive gameplay that required the use of two devices. Keep in mind that crossover cable uses apply only when both systems are configured for direct network connections. The functions of these cables certainly do differ, but the crossover cable is essentially a derivative of the original straight-through version. Both options have been around for quite a while and they’re still utilized today for the purposes of connecting our devices (to either the internet or to each other). 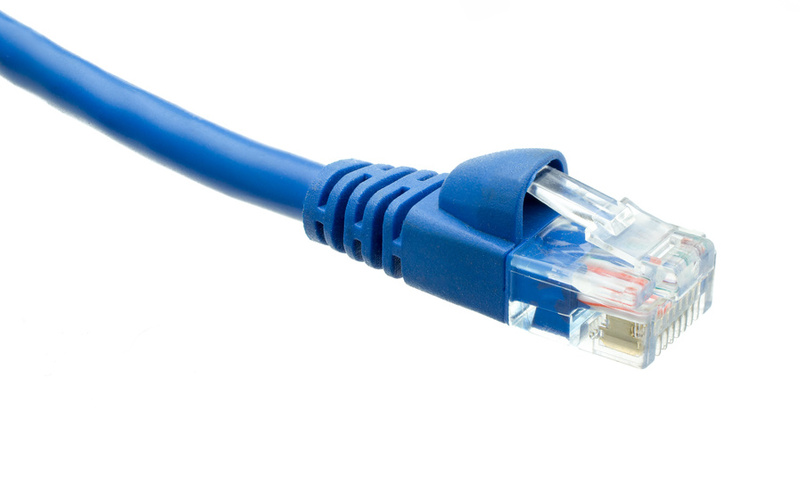 To find out more about our selection of Ethernet cables, please contact us today. This entry was posted in Insights by J.T.. Bookmark the permalink.